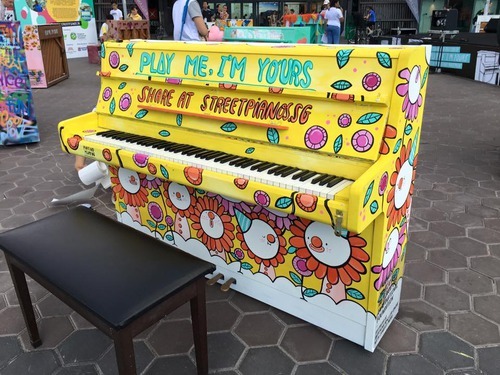 This piano was decorated by Candice Phang in collaboration with Dayspring New Life Centre. It’s available to play 24/7 and the nearest MRT is One North. Now located in the foyer. Live at the Fusionopolis! The Entertainer! 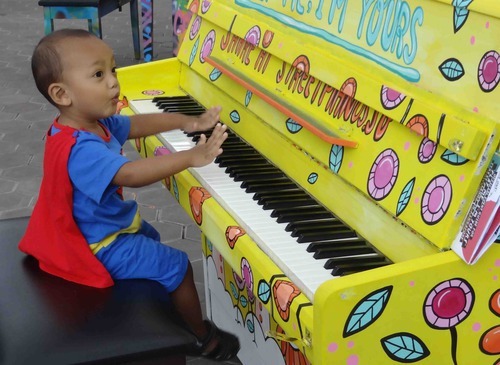 Piano being played by superman at the launch event. 2nd time at PMIY today! So thankful for this project! I literally smashed all my stresses (from school) on it! 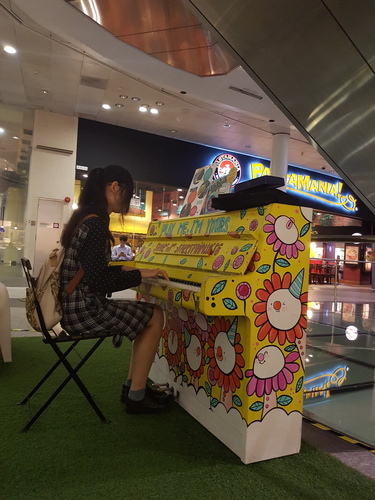 Too bad the piano will be gone in a few days time frown emoticon Played Chopin's Minute Waltz (just part of it) and it really feels nice to play on this street piano since from young I have secretly been wishing to perform on stage one day hehe. 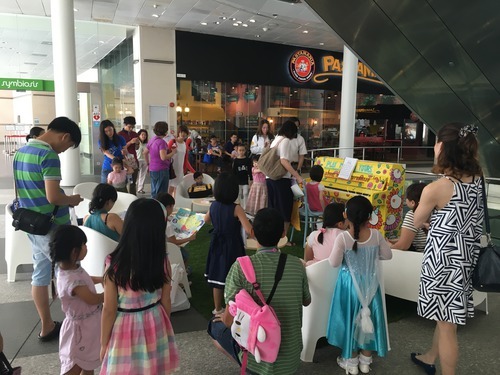 iCampus Music for Young Children students were having fun at the piano!